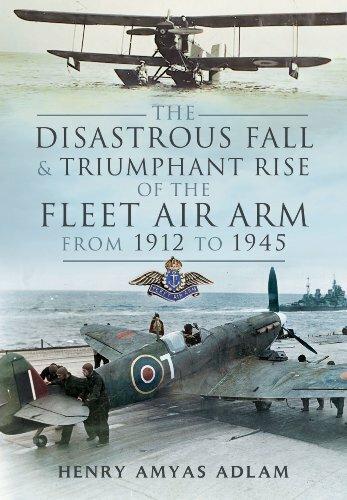 Just finished reading The Disastrous Fall and Triumphant Rise of the Fleet Air Arm by Henry 'Hank' Adlam. Talk about a brutally honest assessment. And, coming from someone who was there and whom the politics, policies and doctrines of the time directly affected, it is particularly relevant and insightful. While some specifics have become hazy in this former FAA pilots mind after so much time (For example, Seafires only had eight .303s in the test conversions, and he merges HMS Formidable's accidental hangar fire into a kamakaze strike), the context he provides and establishes is invaluable and invariably missing from most academic accounts. It's a deep and personal review of the consequences of command, bureaucracy, innovation and courage. And who believes the RN will actually get to keep its aircraft-less super carriers? And will the F-35Bs they're supposed to carry live up to their advertising hype? And given the experience and impending expensive refit of the purpose-built F-35 Marine carrier "America", can the equally purpose-built "Queen Elizabeth" even fly the type? As Hank would no doubt say: The "Penguins" of the 20s and 30s seem to be back in command. Can it be overcome? Well, that too has been done before - as Hank so clearly details. Politics aside - read this book. It will put all you already know about the FAA into awesome perspective.